With cold and flu season approaching fast, it is very important to prepare your staff and patients for the upcoming months and plan to manage increased demand across all ambulatory services. Wait times in ED and urgent care facilities will begin to rise and options for patients are often limited with full clinic schedules and reduced holiday hours. A direct-to-consumer (DTC) virtual clinic can provide a convenient and affordable access point for patients needing care this season as part of your broader seasonal strategy. Late fall brings the initial influx of acutely ill patients. Many of these patients have simple self-limited illnesses and may not need in-person care. The challenge is that within that influx are patients who may have more serious illnesses, complications, or underlying medical issues that put them at higher risk necessitating higher levels of care. Increased access and processes are needed to assure these patients get seen and not turned away because no appointments are available. Clinic schedules need to accommodate these patients but at the same time, must still fit in visits for chronic disease and preventive visits as well. A proactive plan to build schedules to balance those competing demands in the winter months is a must. At the same time, you don’t want to use valuable clinic visit slots as the point at which you first assess which patients have simple self-limited illnesses from those that truly need to be seen. Thus, having efficient triage in front of the schedule management is critical. 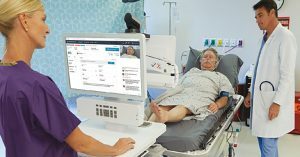 Appropriate low acuity patients can be triaged to the virtual clinic instead of limited clinic appointments or the virtual clinic can be utilized as a triage access point in front of clinic scheduling. Patient education and overall communication is also important. This may include sending reminders on how to practice proper hand washing or self-care advice for simple conditions like the common cold. Campaigns to educate patients about inappropriate antibiotic use for viral illnesses can help avoid unnecessary visits and promote good antibiotic stewardship in the community. This is also a time to share your health system’s plan for the season including where to get flu shots without making a clinic appointment and increasing awareness of the different ways to access care. 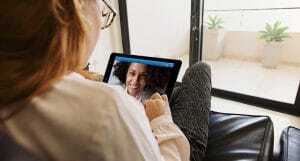 Educating patients on conditions and circumstances well suited for virtual visits and how to access virtual care can help drive appropriate, high-value utilization of the virtual clinic. This is a great time to start reviewing staff workflows and fill any gaps in your system. Review last year’s cold and flu season and plan tactics to avoid having the same issues you had in prior years. Monitor local, regional, and national public health reporting on influenza and other seasonal illnesses to better anticipate your upcoming demand for clinical services and stay up to date with public health triage and management recommendations. During busy times, it is easy to feel the pressure of a full waiting room and limited staffing, which unfortunately often equates to shortcuts that can impact quality of care. 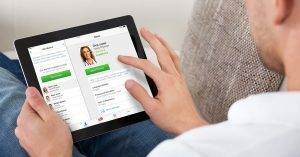 By offering a telemedicine solution with Virtual Practice Guidelines (VPGs) – diagnosis and symptom-based virtual care treatment guidelines for urgent and primary care – integrated into your virtual clinic, you’ll be able to make sure your practices and processes are in order to ensure your team is delivering care efficiently and safely. If your health system doesn’t have a virtual clinic, this is the right time to invest in telemedicine. With virtual visits doubling in winter months, it is very important to be where your patients are. By launching a virtual care program during peak season, you’re able to meet your patients’ real-time needs including eliminating seasonal transportation challenges and reaching rural communities. Integrating a telemedicine solution into your system at this time will give your program instant traction in the market.